The guide consist of how to effectively kite the skeleton hordes, how to spend your xp points that you gained from leveling up, and how to choose which item to equip. Overall its quite informative guide, although i'd like to hear opinions about the game. But for someone from 148Apps to write a guide on how to play Fantasy Mage, i take it as a positive feedback. 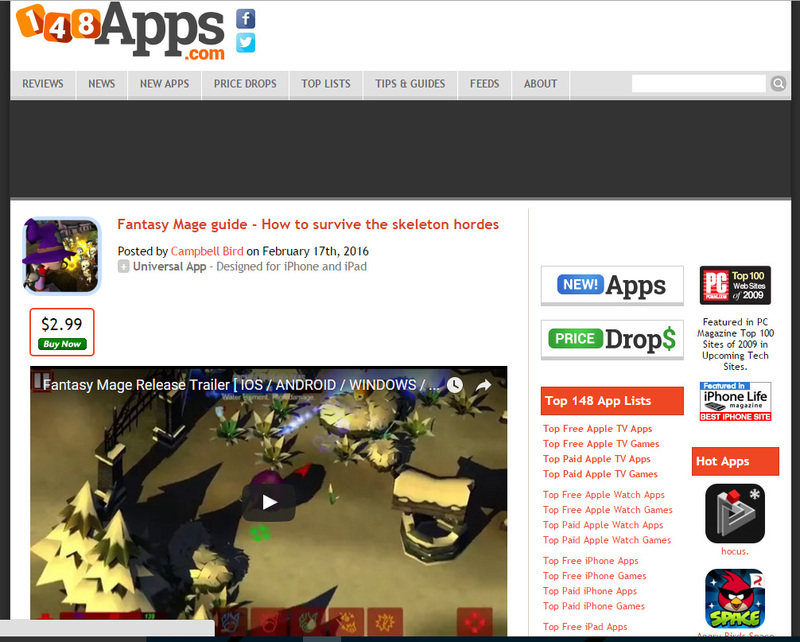 Here is the screenshots of Fantasy Mage. Let us know what you think. Check out Fantasy Mage trailer. Tell us what you think. Fantasy Mage is out now! Illogical Games 2016. Powered by Blogger. Illogical Games, is an indie game developer studio. Get free and premium games for IOS, Android, PC, Mac, Windows Store and Steam. Developer of Fantasy Mage.